Pagasa: Days to get hotter; Year-round festivals in Cebu City? After Cebu recorded its hottest day so far at 33.6 degrees Celsius last Black Saturday, Pagasa (Philippine Atmospheric, Geophysical and Astronomical Services Administration) Mactan Weather Station said the temperature is expected to rise in the coming month. A Cebu City barangay official, meanwhile, says there was nothing wrong in his use of a government car for a family outing at a beach. In Cebu City Hall, a councilor suggests some festivals that the barangays can hold to attract tourists in the months following the Sinulog celebration. Are you thinking of buying a condo unit? Since the heat index, or the actual temperature felt in a human body, is about four degrees higher than the recorded temperature, last Black Saturday’s temperature felt like 37.6 degrees. Al Quiblat, chief meteorologist of PAGASA Mactan, said the public should watch out and prepare themselves for the hotter days ahead due to the progressing El Niño. 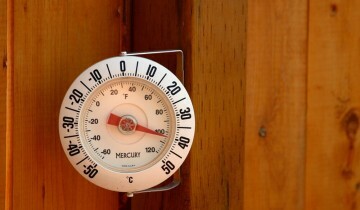 He pointed out that the minimum temperature that can trigger heat stroke is 32 degrees Celsius. He cautioned the public against long direct sun exposure and advised them to regularly drink water. Yesterday, the Cebu City Medical Center (CCMC) is not discounting the possibility of heat stroke as the cause of death of a 10-year-old female street child who was found unresponsive and bleeding from the mouth along Mango Avenue, Cebu City. CCMC said they have yet to check the underlying cause of the child’s death, including her medical history. Barangay Carreta chairman Eduardo Lauron said there was nothing wrong in his using a government car for a family outing in Marigondon, Lapu-Lapu City. “It was my grandson’s birthday. Wala may bati siguro ana kay wala man na siya gigamit para sa sugal compared sa uban (Nothing’s wrong with that because it was not used in activities like gambling, like others).” — Barangay Carreta chairman Eduardo Lauron as quoted by Cebu Daily News. Ombudsman Visayas spokesperson lawyer Maria Corazon Naraja said they will evaluate reports to determine action on the incident. Cebu Daily News: Why use Cebu city government vehicle for beach outing in Mactan? Cebu City Councilor Gerry Carillo said they are proposing a number of barangay festivals for the city government to hold in order to help sustain the number of local tourists right after Sinulog.